New construction in Foxcroft offered by Strickland Building Group. 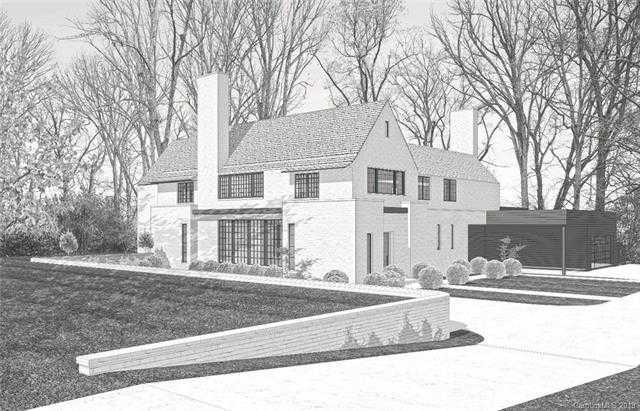 Edwin Lutyens-inspired plan & specifications by award-winning Greg Perry Design. Sophisticated modern classic design offers 5 bedrooms, 5.1 baths & sits on a generous .69acre lot. Oversized windows flood entire home with natural light, allowing spectacular views of the front & interior courtyards and a private backyard perfect for a pool. Master down w/ 11-1/2 x2019; ceiling, chic Salon w/ floating vanity & impressive Dressing Room. Bright, open kitchen w/ SubZero & Wolf appliances, connecting Scullery w/ additional dishwasher & sink, walk-in Pantry, & Bar off Dining Room. Additional design features include multi-use rooms, sunken Foyer & Library w/ an interior window, three fireplaces, plaster accents, 2×8 interior & exterior walls on both levels for aesthetics, exposed steel elements & hidden door entries. Systems and finishes exceed the expected. Many more features, call listing agent for details and to schedule a showing. Please, send me more information on this property: MLS# 3447978 – $3,000,000 – 4052 Arbor Way, Charlotte, NC 28211. I would like to schedule a showing appointment for this property: MLS# 3447978 – $3,000,000 – 4052 Arbor Way, Charlotte, NC 28211. © 2019 Wanda Smith and Associates. All Rights Reserved. Real Estate Website Design powered by Home Junction.